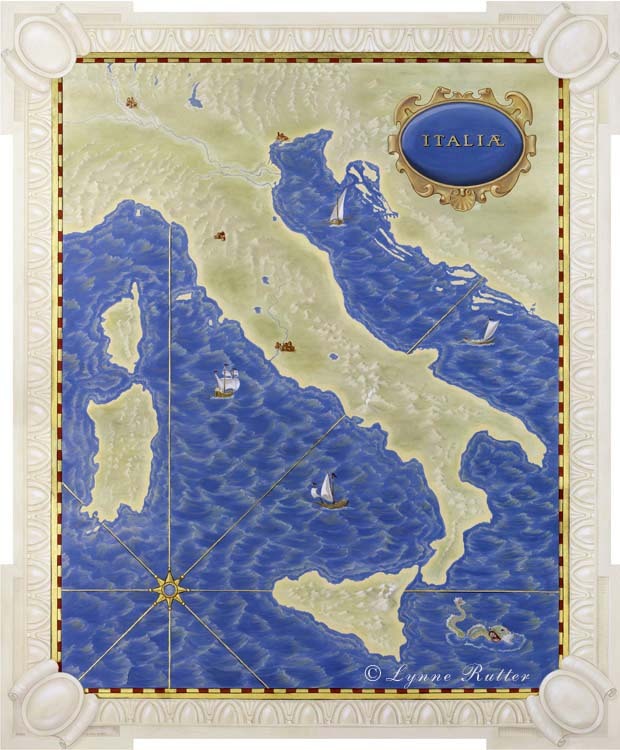 This mural takes its inspiration from the 16th century murals of the Gallery of Maps in the Vatican Palace. A trompe l'oeil egg and dart border serves as a frame. acrylic on canvas with 23 karat gold leaf , 7 feet high.